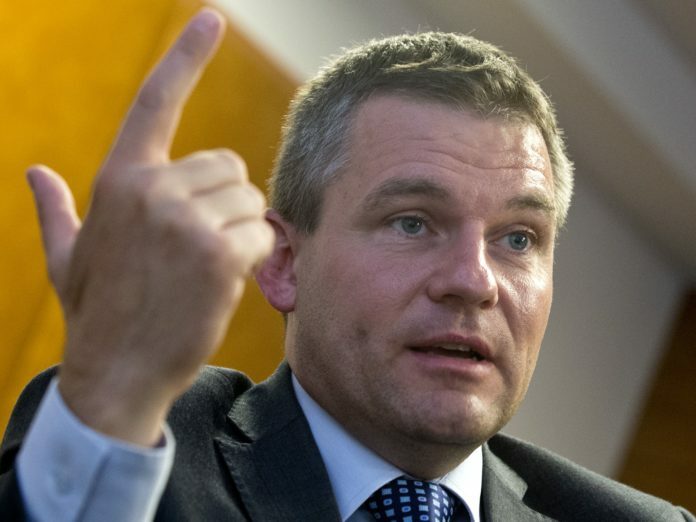 Bratislava, April 3 (TASR) – Prime Minister Peter Pellegrini (Smer-SD) on Wednesday appeared to be somewhat sceptical about President Andrej Kiska’s announcement earlier in the day that he plans to set up a new party. „I can’t imagine how the president wants to manage this, considering his weekly schedule lasts between Tuesday and Thursday and considering how strongly he’s tied to his native town [Poprad, Presov region] and family. I don’t know whether he’s realised that it’s an absolute life-changer to become a party chairman and perhaps even prime minister,“ said Pellegrini, adding that he doesn’t want to prevent anyone from fulfilling their dreams, however. Meanwhile, Environment Minister Laszlo Solymos (Most-Hid) stated that Kiska’s party will certainly „shuffle the deck“, not only for Most-Hid, „but for everyone“. At the same time Solymos remarked that it’s somewhat unusual to see a president entering party politics in Slovakia. „Kiska has political potential, as he’s been president for five years. But it should be noted that the post of president is diametrically different from entering the political ring as a party chairman,“ said Solymos. Kiska, whose term in office is due to expire in mid-June, announced in a video posted on Facebook earlier in the day that he’ll set up a political party within a few months. „Slovakia wants change. We’ve won this [presidential] election, now we must win the general election. That’s why I’m going to set up a political party. I want to unite decent and willing people and change our country for the better,“ said Kiska, adding that he has to be non-partisan as president, so he’ll release further information on the project on June 17. Kiska in the presidential election endorsed liberal civic lawyer Zuzana Caputova, who won the race on Saturday.